For quality laundry tapware, choose the Cube 1/4 Turn Washing Machine Stops. Manufactured by Alpine, this set of washing machine stops are the perfect addition to your laundry. 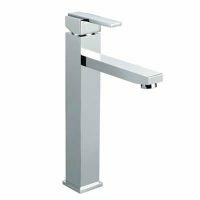 Featuring two quarter turn taps, this Cube tapware set is incredibly durable and very easy to operate. 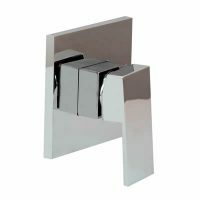 While this Cube tapware set is highly practical, it is also offers modern looks. It is available in a stunning chrome finish and offers a sleek and slimline appearance which is sure to complement your laundry design. Alpine has designed the Cube tapware set for straight forward and easy installation. 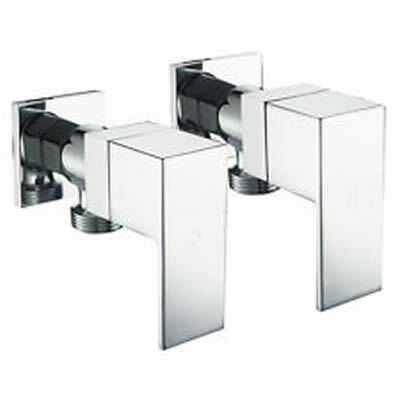 This Cube tapware set features a durable brass construction and will last many years of substantial usage. The tapware set is designed to be ergonomic and is incredibly convenient. Alpine Industries is a leading Australian manufacturer. As such, Cube 1/4 Turn Washing Machine Stops is a superior quality product, which exhibits top workmanship. Rest assured this tapware is a top notch product that will add a lot of value to your laundry. Alpine products are highly sought after at Ross’s Discount Home Centre. Cube 1/4 Turn Washing Machine Stops is currently in stock and available at an unbelievable price. So, what are you waiting for? Buy this tapware set before stocks run out!